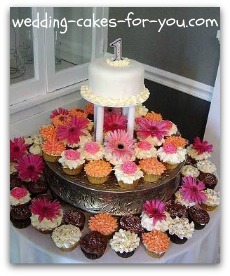 A cupcake tiered wedding cake is a sweet alternative to the usual. 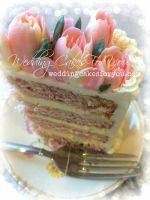 They are easy to serve and you have the option of having many different flavors and combination's for your guests to choose from. 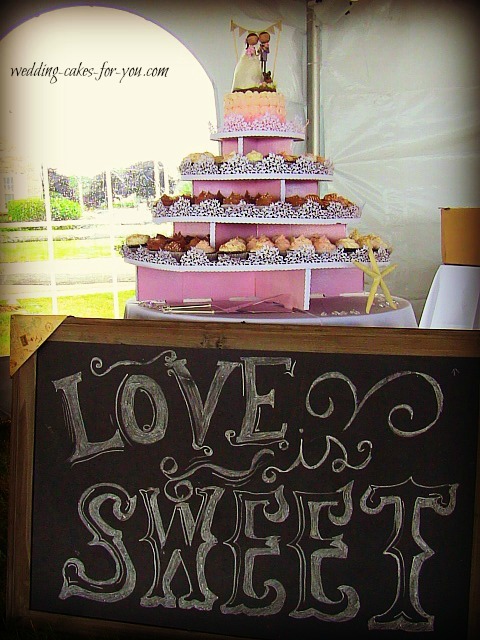 The photo below was the inspiration behind Sarah and Mike's July 13 2013 beach wedding celebration. 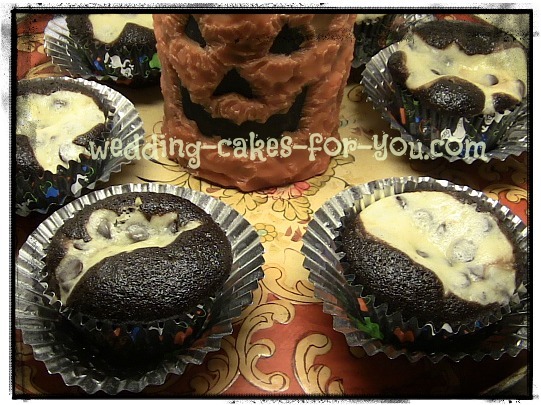 Sarah and Mike chose chocolate with strawberry, vanilla and chocolate frosting. 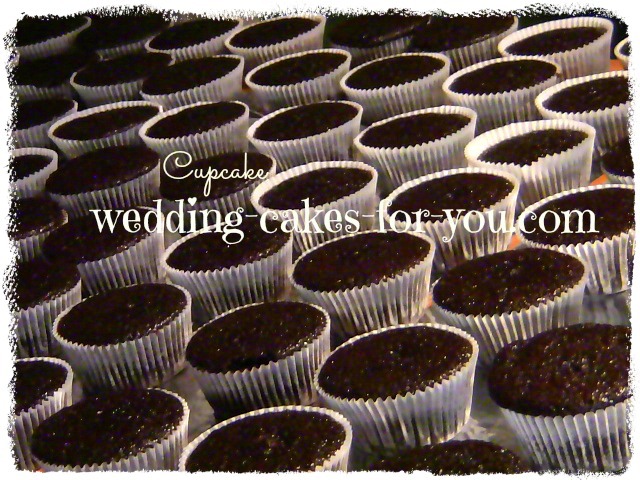 150 cupcakes baked to perfection. 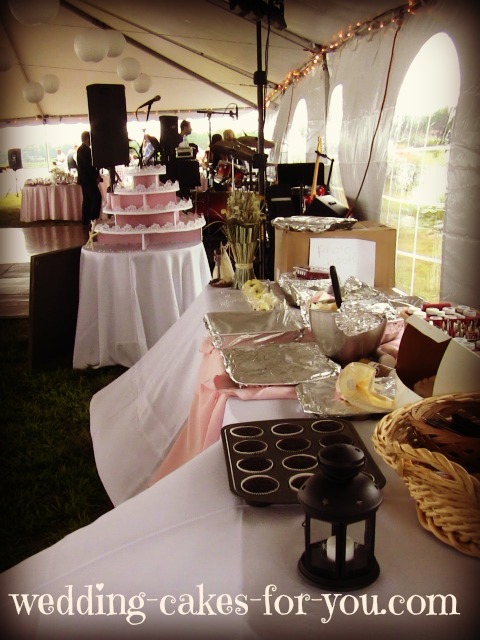 Sarah & Mikes beach theme wedding took place on the lawn across from her grandmothers home. 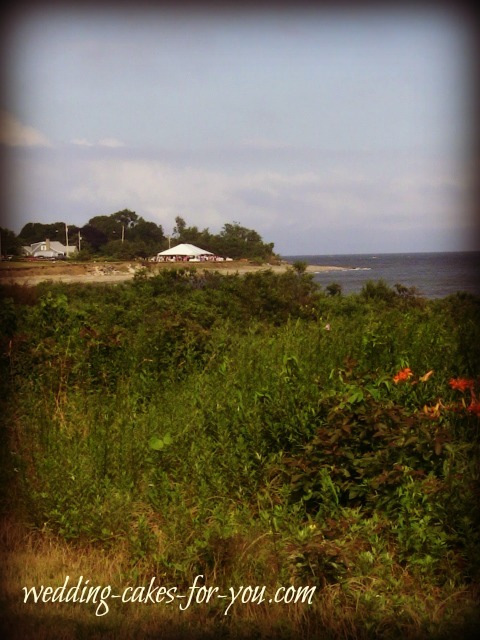 The lawn just happens to be situated right on Long Island Sound. It was spectacular! 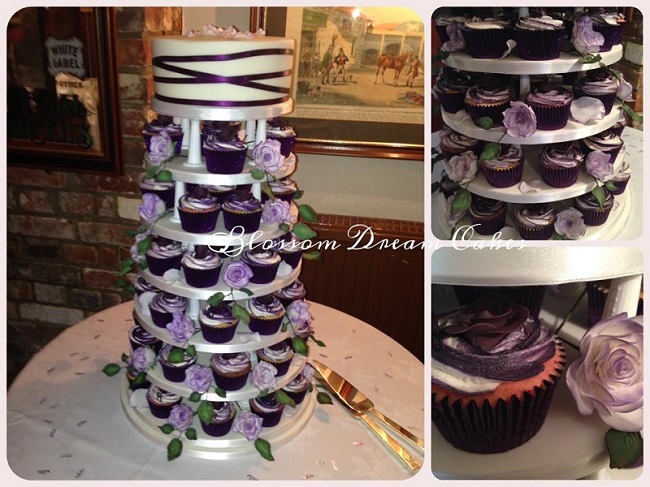 Here is a close up of the cupcake design and the cupcake tiered wedding cake. 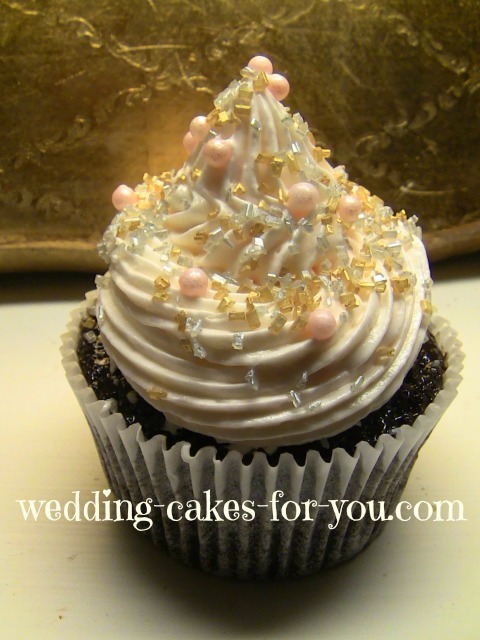 It was very simple, just a piping of buttercream using a large star tip and then a dash of Wilton silver and gold pearlized sugar and pink sugar pearls. 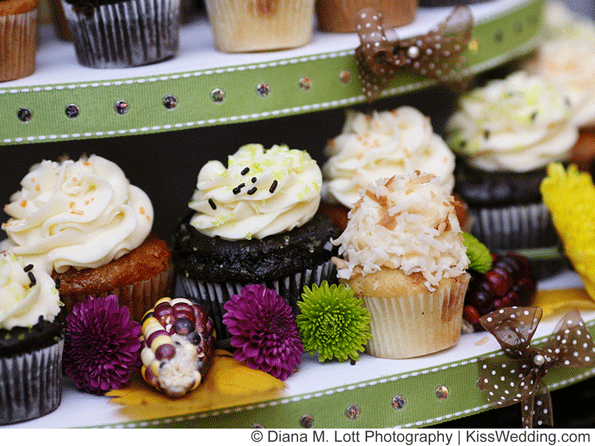 Cupcakes are an easy alternative. 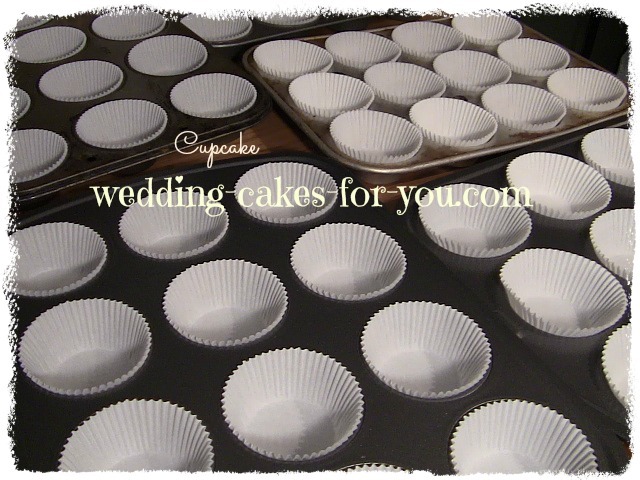 Take any wedding recipe and use it to make your minis. 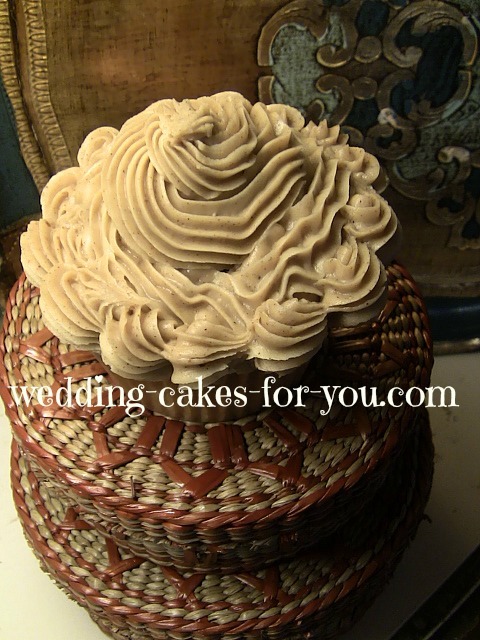 Try the white one made with butter and vanilla on this website. It's delicious and perfect to use for this purpose. 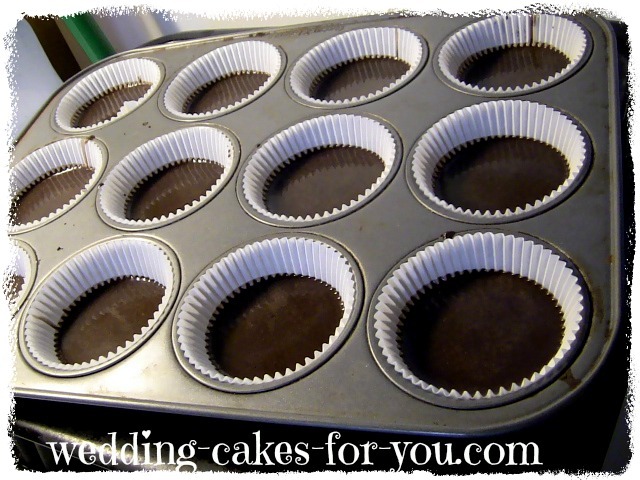 The chocolate buttermilk or the carrot are also great for baking in small tins. 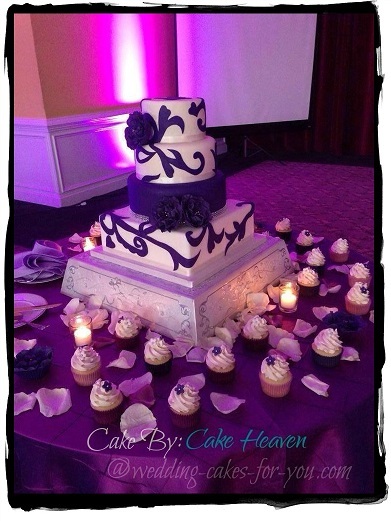 Use the table for the bottom tier, a cake stand for the second tier and pillars with a 6 inch cake rising above. 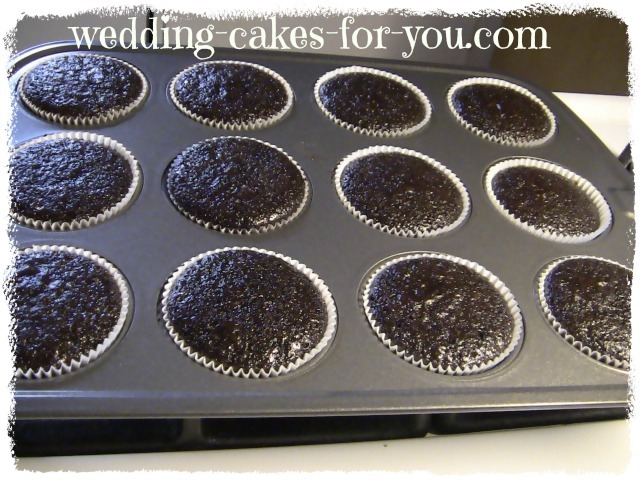 The sweet little mini desserts are decorated in buttercream and fresh flowers. 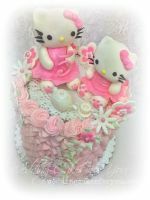 This sweet elegant little cupcake tower with a beautifully decorated 6 inch top is a great example of how to incorporate the two into one design. LOVE the Dust Rose Vintage look. 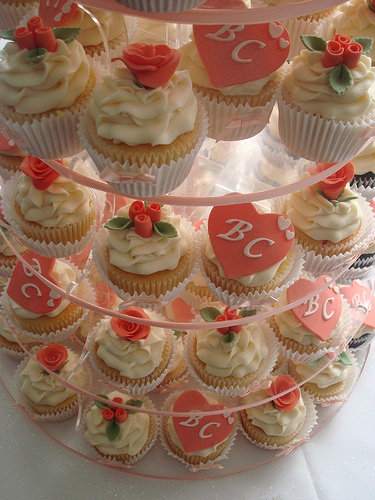 Blossom Dream Cakes shared this lovely cupcake tiered wedding cake creation. The roses which look amazingly real are all made of gumpaste. 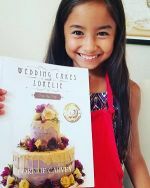 Visit their Facebook page to see more gorgeous and delicious looking sugar creations. 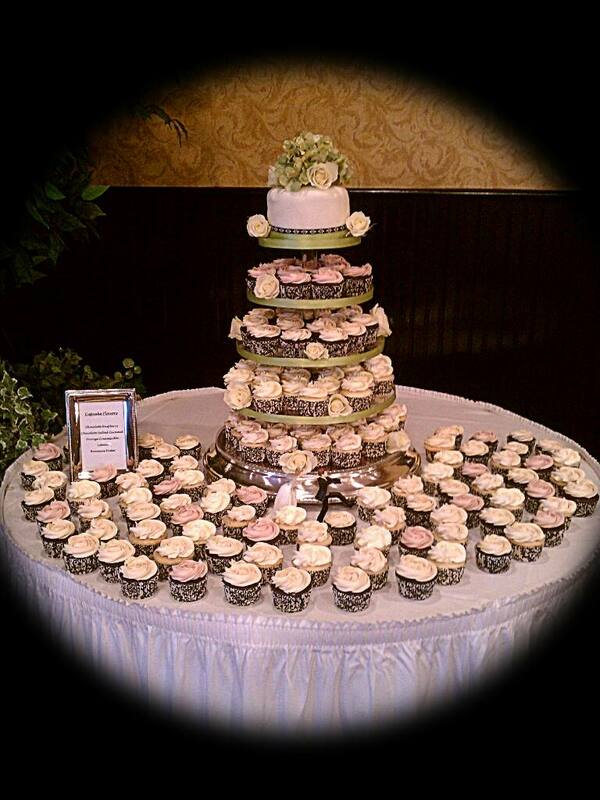 Cupcakes surrounding the main wedding cake are another great way to incorporate. 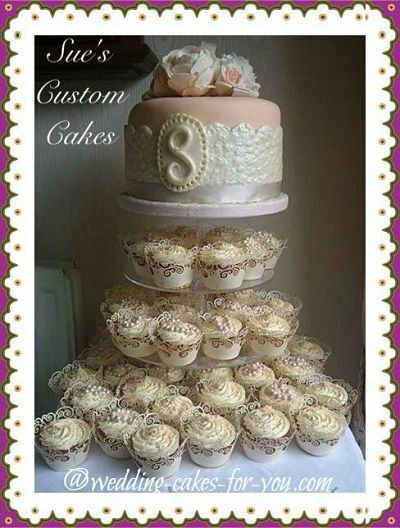 This design was shared on Facebook by Cake Heaven. 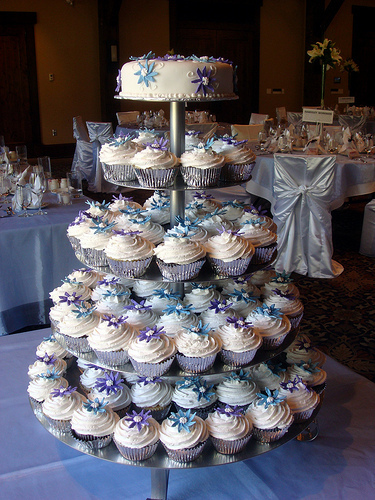 The wedding cupcake tower above was shared by a visitor to Wedding Cakes For You. It was a first time making a display of this kind for Fillo and it was for a friend. 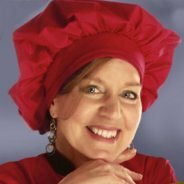 She tells her personal story. Photo by drgillybean on flickr. 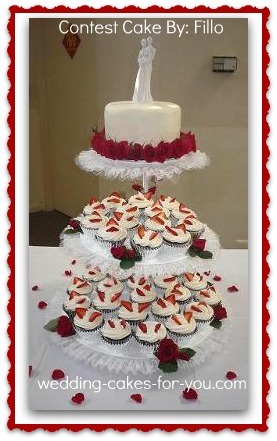 This is such a sweet cupcake wedding cake! Photo by angelinacupcake on flickr. 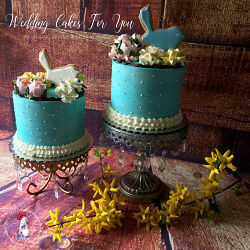 The Teal blue ribbon around the plates is a nice touch and is something that you can incorporate into your wedding cupcake tower design to add more color. 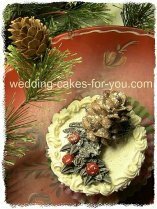 More ideas for cake stands here on my site. 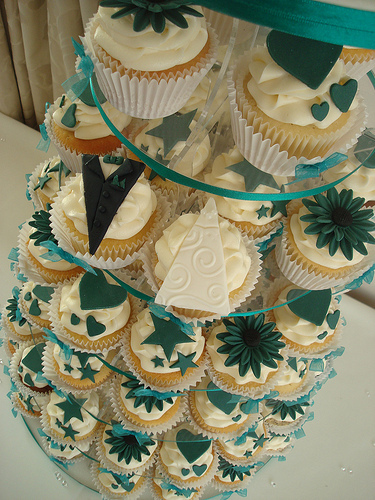 "I attended the wedding of Sarah and Mike last night and I just wanted to tell you that your cupcakes were fantastic! 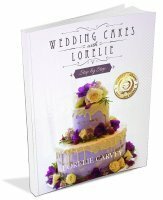 They were actually the most delicious cupcakes and cake I've ever had!" 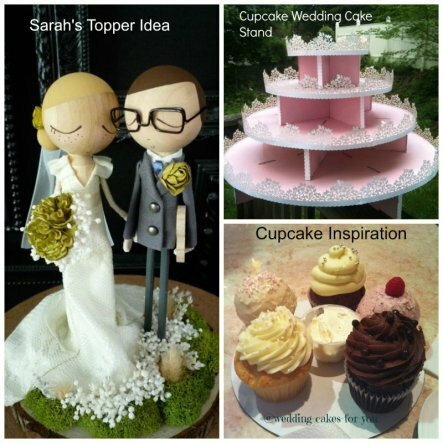 Sweet idea from Naomi of Cake Decor in Cairns. 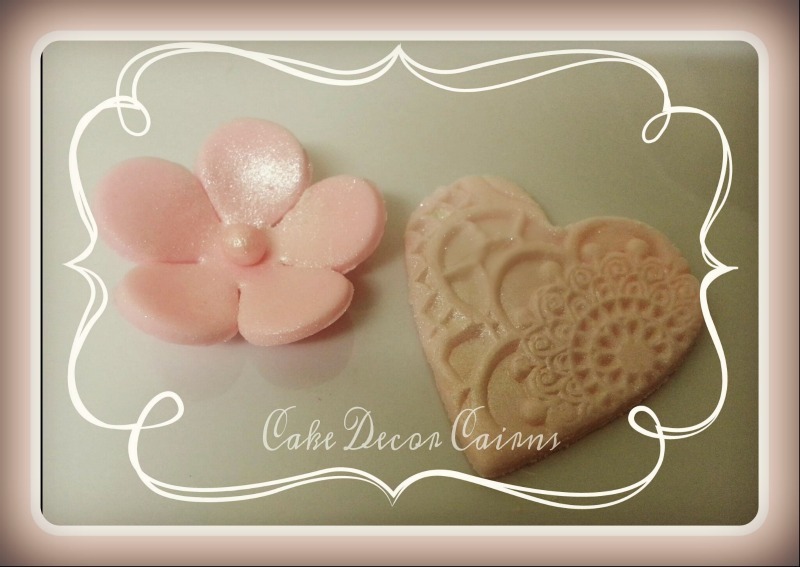 Find her on Facebook and here is a link to her tutorial on how she embossed the little hearts. I have been making these for years. Kids especially love these. Fresh chunks of apple are in this recipe. Delicious!! !